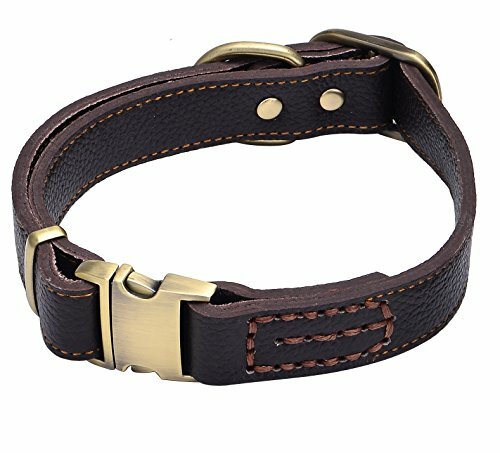 100% RISK FREE PURCHASE - If you don't absolutely love this leather Collar for any reason, simply ship it back. We will immediately refund your entire purchase price or replace it - whatever you prefer with zero questions. We SHARED MANY PICTURE FROM OUR CUSTOMER IN THE LISTING FOR YOU To HAVE BETTER VIEW OF OUR COLLAR.VERY ATTRACTIVE ON THE NECK.STYLISH AND QUALITY LOOKING. WE WELCOME EVERY CHERISHED CUSTOMER TO SHARE YOUR CUTE PUPPY PICTURE WITH OUR STAND OUT PRODUCT.APPRECIATE!! !